A handcrafted, palm oil free shaving soap for face and body. 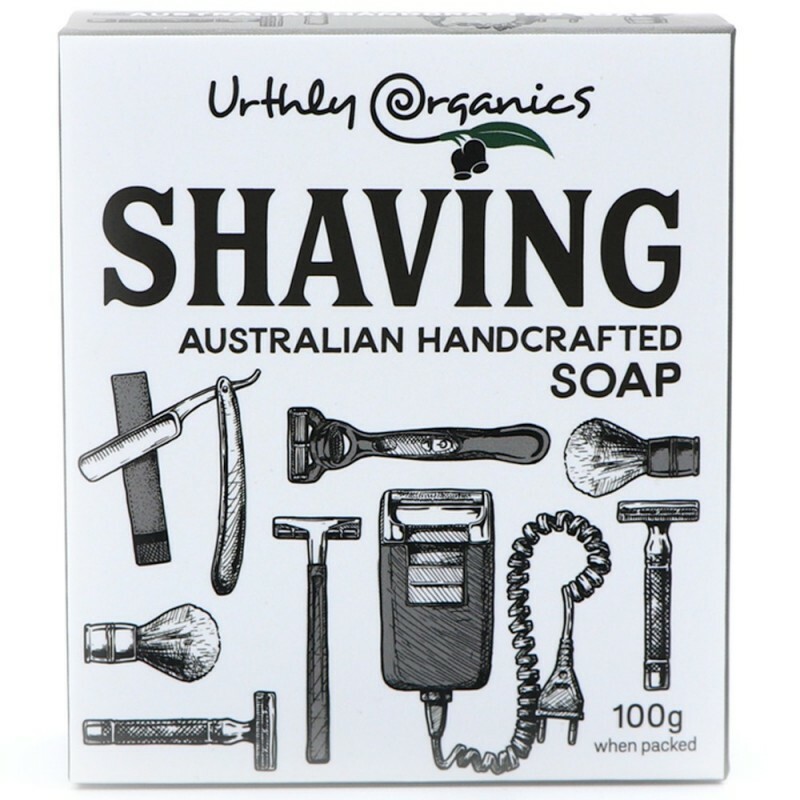 Providing a smooth creamy lather for an easy shave, this soap is scented with bergamot, cedarwood, lemon myrtle and aniseed and suited for unisex use. 100g. Creamy lather for smooth shaving. Great to use on face and body. Scented with essential oils for a light and sweet-earthy aroma. Saponified oils (coconut, *castor, *macadamia, *jojoba, *hempseed), essential oils (bergamot, cedarwood, lemon myrtle, aniseed) . *Organic ingredient. Shaving soap that helps produce a smooth body shave. Probably prefer the pink, round biome one you can (could at least!) buy at the brick and mortar stores. Any shaving soap works better than body soap to shave with! The price of this little multipurpose beauty was almost a third the price of other similar products, and this one doesn't crumble if you cut it in half - to take one travelling and leave one at home, or give one half to your 'other half'. It lathers without any need for SLS and smells nice and fresh. I'll bet you could use it for shampoo too.